Dr. Carla Finkielstein is an Associate Professor of Biological Sciences within the Biocomplexity Institute of Virginia Tech. She is also Director of the Integrated Cellular Response Laboratory at Virginia Tech, a Member of the Executive Committee of the Susan G. Komen Blue Ridge Board, and past member of the Board of Directors of the Virginia Breast Cancer Foundation. Carla received her B.S. and Ph.D. both in Molecular Biology from the University of Buenos Aires in Argentina. Afterwards, she worked as a Research Associate at the Howard Hughes Medical Institute at the University of Colorado Health Sciences Center. Carla then conducted further postdoctoral research at the University of Colorado Health Sciences Center before joining the faculty at Virginia Tech. Carla has been recognized for her research accomplishments with the L. Chely Award for Best PhD Thesis, a Howard Hughes Institute Fellowship for Research, an American Heart Association Postdoctoral Fellowship, the Karin Noss Scholarship for Research Advocacy in Breast Cancer, the Susan G. Komen Award for Junior Investigators, and a National Science Foundation CAREER Award. In our interview Carla shared more about her life and science. Carla’s favorite hobby is cooking. She loves making new and creative dishes that bring together different colors, flavors, and taste profiles. Cooking is relaxing for her, and it’s fun to share dishes she creates with her friends and family. In addition, Carla enjoys reading a wide variety of books about history. In the lab, Carla is interested in understanding the mechanisms cells use to measure time to regulate cell division. Evidence supports that people with circadian disorders have a higher incidence of cancer. Carla hypothesizes that cancer may occur when the clocks within cells don’t function properly. In these cases, the clocks may signal to the cell to divide too frequently. Carla’s goal is to understand how this process occurs so that we can fix the issue, detect the problem early to provide treatment, or prevent it from happening. Science is something that Carla has been interested in ever since she was a kid growing up in Argentina. Her father was a chemist, and he made a thrifty homemade chemistry set as a gift for Carla when she was eight years old using a few items from his lab. He also wrote out a booklet of experiments that she could do with her new chemistry set. When Carla received this gift and saw all of the neatly labelled bottles, she was so excited. Carla and her father did an experiment that day where they mixed together two clear transparent liquids, and the solution turned purple. This was absolutely fascinating for Carla, and it sparked her curiosity for chemistry. Later that year, Carla had a conversation with one of her older cousins about cancer. Her cousin proclaimed that cancer was a complicated disease, and no one would ever be able to find a cure for cancer. Determined to prove her domineering cousin wrong, Carla announced that she would find the cure. From that day forward, she has been committed to studying cancer. Some of Carla’s biggest career struggles occurred during the early years of her graduate thesis work. She was working crazy hours and was still getting no results three years into graduate school. After spending countless hours trying the same things over and over again in the lab, Carla had nothing to show for it. She was in utter despair. At that point, Carla decided that she had to change her approach. She sat down and comprehensively evaluated everything she was doing in the lab to try to understand why things weren’t working. Taking that time to think and reach a conclusion was key. Looking back, she was at her breaking point then. She could have either sat down and figured out the problem or given up and walked away from her career in science. Having to work through these challenges has helped carla learn and grow as a scientist, and now she views all of the problems they have in lab as puzzles to solve rather than catastrophes. The most recent research paper that Carla and her lab published was a major success. One of Carla’s previous graduate students was incredibly hard working and came up with an interesting hypothesis during her dissertation. This student published other aspects of her thesis, but the main work related to this hypothesis remained unpublished when she graduated. Though the student had moved on to her next position, Carla believed this student’s hypothesis was correct and encouraged her to continue trying to get this work published. The paper needed some additional work and expertise to be complete, so Carla enlisted one of her current students to help. This second student has done excellent work collecting additional data, and they discovered that the story was even more interesting than they originally thought. They published the paper in a top tier journal at the end of last year, and it has been well-received by the scientific community. Carla is particularly proud of this work because a lot of belief, trust, and hard work went into the project. Carla’s favorite place she visited for science was Thailand. She was invited by the government to come as a representative from her university for a joint project. Her trip involved giving a presentation about her work, visiting biotech organizations, visiting universities, and meeting with many different scientists. It struck Carla when she was talking about her research that there weren’t any major cancer research institutes in the areas she visited. Through conversations with researchers there, Carla learned more about the research priorities of the people of Thailand and how their country approached doing research. Many of their major research priorities were related to food production, such as studying infectious diseases in plants and fish. It was interesting to get this cultural perspective, and it has helped Carla think about the context of her own research a little differently. When Carla was an undergraduate student, she had an opportunity to attend a workshop at Cold Spring Harbor Laboratory. One of the lecturers in this workshop was Dr. Paul Nurse who is a leading geneticist and expert on cell cycle regulation. Carla absolutely idolized Paul, and when the day finally came for his lecture (October 31, 1991), she was sitting in the front row eagerly awaiting his presentation. One of the other exceptional speakers introduced Paul, and Carla was befuddled as he got up on stage dressed as an elephant with an big elephant trunk. While Carla enjoyed the lecture, she couldn’t help wondering what was going on with all of these weirdly dressed people she had seen around the laboratory all day. Carla didn’t realize that it was Halloween and that it was customary for people in the U.S. to dress up in costumes for Halloween since this was something they didn’t celebrate in Argentina. After the presentations were over, everyone went to Manhattan to watch the Halloween parade, and it was fun to celebrate alongside some very distinguished scientists. Both Carla and her husband are scientists, and she received the valuable advice from a senior colleague to make sure that she and her husband grew professionally together. Careers in science can be intense and demand a lot of time, and it has been helpful for them to make this journey together. For our listeners who are scientists, make sure to enjoy every minute of your career because there is nothing more beautiful than the joy of knowledge. For listeners who are not scientists, believe in scientists. Scientists will solve many of the problems that people struggle with today. Some of these problems will take longer than others to solve, but researchers are working hard to find solutions. 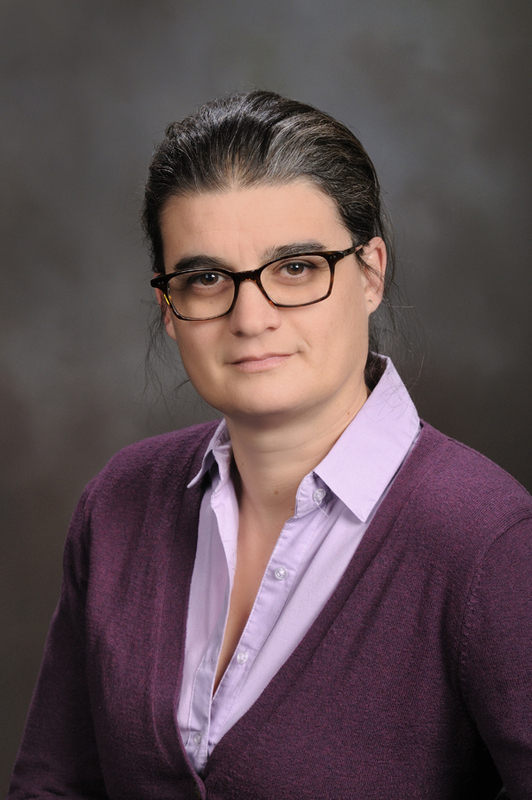 Research in Carla’s lab focuses on understanding cancer development and progression and in finding novel therapeutic strategies for improving the efficacy of cancer treatment. Because the circadian clock regulates so many cellular processes, including cell division, the control points for the circadian clock within the cell cycle could occur at many stages. Carla is interested in examining whether patients suffering from circadian disorders show a higher predisposition to develop cancer, how the expression of clock genes is affected in the case of tumors, and how all this information can be used to generate novel therapies to improve the efficacy of cancer treatment. The current grand challenge for Carla’s research group is to harmonize the work of epidemiologists, physicians, and basic scientists to conceive new principles that explain the high incidence of cancer observed in individuals experiencing circadian disorders. Carla is a researcher who understands that science must remain an important cultural activity in our society, especially as it becomes increasingly interdisciplinary, global in scale, and technologically challenging for most of the public. As such, Carla is pro-active in furthering science dissemination and public engagement at various levels. She is engaged in training and education and is also an outspoken advocate for breast cancer awareness through her work as a fundraiser, activist, daughter, and mother.